I am back again with another outfit post . I was attending Devita's birthday lunch that day,aannnddd Happy Birthday Depitaaah! 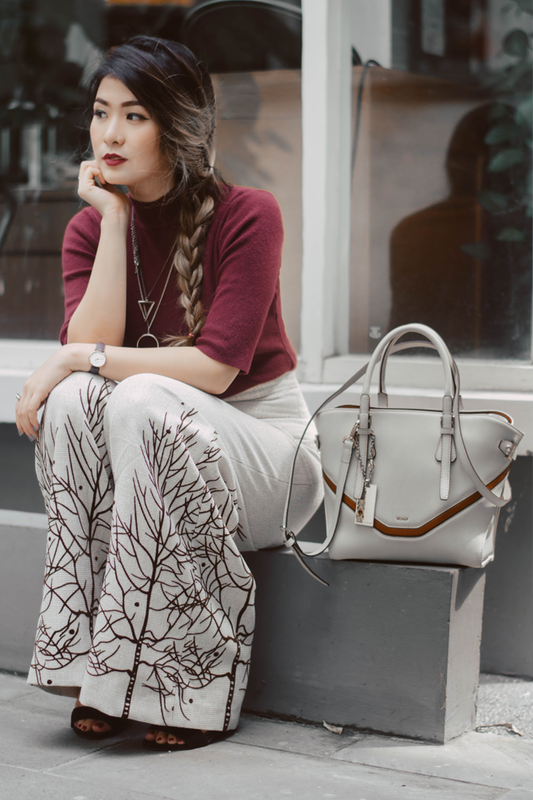 Just an easy outfit for casual event, I wore this root pants with a simple turtle neck top, and quickly grasp my neutral bag. Yes, I was too lazy to curl my hair that day, so braids is the answer! I really love straight pants that become so unavoidable lately in fashion trends, and I do have plenty of them from many colors and this one is one of my favourite. I don't need to do much effort for the tops, because the root motif itself has become a highlight to my outfit. Besides, this neutral color makes me feel free to put any tops to pair with. that pants looks fantastic and i like how you styled it.